I can’t believe we have already got to the end of January – I swear it was only Christmas yesterday?! I’m kind of glad to have January out of the way if I’m honest. I always find it a particularly difficult month, but I’ve tried to fill it with nice things to look forward to, which has helped me get through it. Unfortunately my health has been a bit rubbish, so I haven’t been able to get everything done that I would have liked to, but it’s still been an OK month. We started the month by putting away Christmas. I hate this time of the year because all the pretty lights and decorations are suddenly no more, and the world looks a lot more dark and cold again. I also decided this month that I am going to start a Project Life album. I’ve been wanting to do it for a while, but have never really got round to it, so I thought a new year was the perfect time to be proactive and get myself sorted with all the bits I need. I’m excited to start putting it together once I’ve printed off my photos, and perhaps I will show you a flip through if you’d be interested to see what I make. Days when I get to see friends are always the best kind of days, and I had a lovely time with one of my spoonie friends, Sophie, this month, when she came down from Winchester for the afternoon. We spent hours just chatting and gossiping, which is something I really miss being able to do, painted our nails and did a few crafty bits and bobs. The afternoon was over before we knew it, but we’re already planning another meet-up for some time in February. There have been both highs and lows this month, which has been quite hard to get my head around. It started with a high when I was offered an interview at Southampton University, but unfortunately ended on a low when I received a letter of rejection from them. But I’m trying to look at the positive side of this and tell myself that Southampton just wasn’t the right place for me and that’s why I didn’t get a place. A couple of weeks ago I headed to my local salon to get my hair re-dyed. Generally my hair holds its colour really well, but it always feels nice to have it re-done. I’m thinking next time that I might go a bit more red, as I’d love a brighter colour! The last thing for me to talk about from this month was a special new purchase I decided to make. I’ve been contemplating it for a while, and thought that now was the perfect time to upgrade my DSLR camera. I’ve started making more YouTube videos and my little point and shoot camera just wasn’t cutting it, so I now have a DSLR that is capable of taking videos, and I love it! I’ve heard we’re set to get more snow, and what better way to spend a snugly afternoon inside in front of the fire than with a good film. There’s a couple of DVDs coming out this month that I’m looking forward to watching. 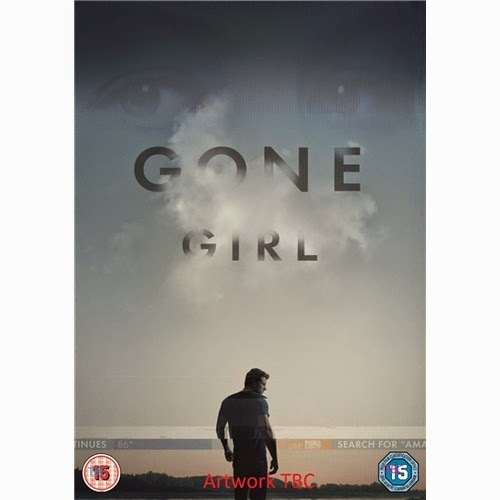 The first is Gone Girl, based on the book of the same name. I haven’t actually read the book yet, and feel like I should really do that before I watch the film, but I’ve heard really good things about the book and the film, so I’m excited to see it. It comes out on 2nd February. Then, on 16th February, there is another film out called The Book of Life. I don’t know an awful lot about this one, but it has got the voice of Channing Tatum, so it can’t be too bad! If you’re looking for a bit of reality TV to watch in the month of February, then look no further than The Jump, which is due to start on 1st February. I think this is the second series, but I’ve got to say I don’t remember watching the last one. I’ve seen so many adverts for this, but I can’t decide if it’s something I’m going to enjoy watching. I guess there’s no harm in watching to see what it’s like – chances are I’ll get hooked like I do with every other reality/celeb programme. Something I will definitely be tuning in for is Ant and Dec’s Saturday Night Takeaway, which comes back on our screens in February. I absolutely love the boys, so will happily watch anything they’re in, but Saturday Night Takeaway is definitely one of my favourites as it’s just so packed with comedy and fun. As you probably already know, if you’re a regular reader, one of my resolutions for this year is to go to the cinema once a month. Last month I went to see Into the Woods, which was brilliant. In February I am looking forward to going to see Disney’s new release of Big Hero 6. It’s had fantastic reviews and is said to be even better than Frozen, so I have high hopes. However, that’s not the only good film out this month. Fifty Shades of Grey is finally making an appearance, although that definitely won’t be one I take my parents to see! We’ve also got Shaun the Sheep the Movie and The Second Best Exotic Marigold Hotel, so there’s plenty of choice for all occasions in the next month. 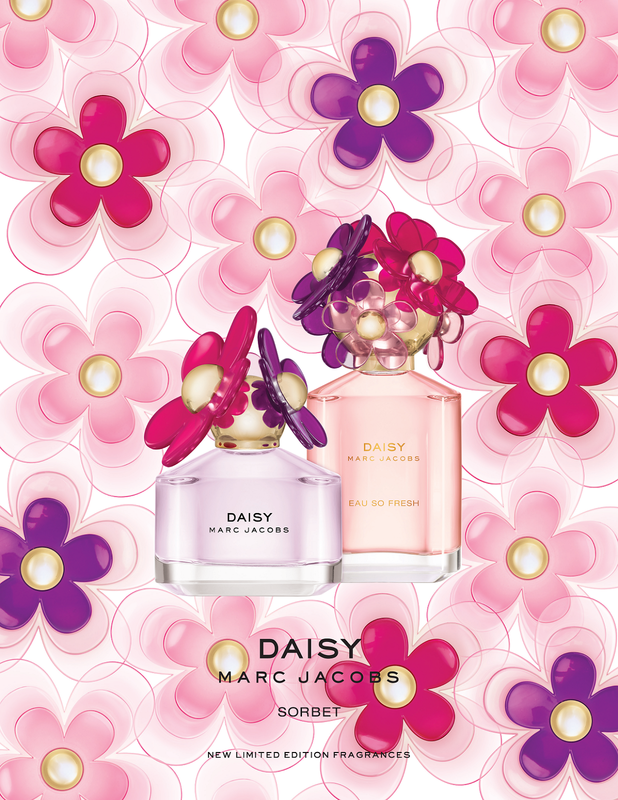 Something I am mega excited for this month is the release of a new Marc Jacobs perfume, Daisy Sorbet. The bottle is the classic Daisy bottle, with a twist as it comes in a new colour combination of pinks and purples. It looks beautiful and the fragrance sounds gorgeous, so I can’t wait to smell it and hopefully add it to my bathroom cabinet. I think with my make-up this February; I will be rocking a fuchsia pink lip to tie in with Valentine’s Day. I’ll also have a nice pop of pink colour on my cheeks and my for my nails I’ll be going for a gorgeous deep pink, perhaps with a little sparkle. Clothes wise, pastels are so in right now and I’m loving a bleached jean with a crisp white shirt. You can then accessorize with dainty rose gold details and maybe even a Crown and Glory bow in your hair. Perfect. Do you have any favourites or things you’ve learnt in January? What are you looking forward to in February?